Electromagnetic Retarders - Passenger Transport - Telma S.A. 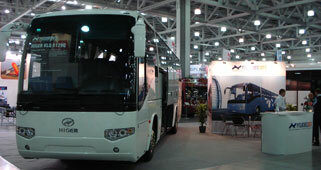 Unique features have earned Telma retarders a strong reputation in the vast coach market. It is the preferred solution for drivers, who are the only ones capable of objectively assessing the many competitive advantages of Telma retarders. For many years, Telma retarders have satisfied manufacturing partners and fleets electing to offer their clients more comfort and safety while reducing their vehicles' environmental impact. Major minibus and midibus manufacturers and body builders install Telma retarders on their vehicles as a standard feature. Our line includes numerous models adapted to this particular application that is characterized by the small available space. 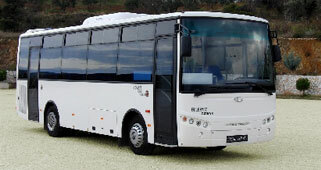 Minibuses and midibuses equipped with Telma retarders benefit from all advantages of these devices in terms of comfort, safety, savings, and environment. 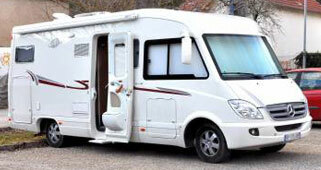 In line with its purpose of improving road safety, Telma has been a pioneer in the motorhome market. Essentially targeting private customers, Telma demonstrates to demanding users the unique benefits of its retarders in terms of safety (including on mountain roads) and savings: the maintenance cost of their vehicle is significantly reduced. When you install a Telma retarder on your vehicle, you can fully enjoy worry-free travelling.